Today is August 1. How is your homeschool planning coming along? We plan to start school at the end of the month, and I still have a few things to order and A LOT of organization to do! But, I’m happy to say that most decisions about curriculum have been made and am glad to share our 2016-2017 Homeschool Curriculum Choices with you today. One huge change this year is that my oldest will be attending public high school. He is a sophomore, and we’re praying it’s a good experience for him. He (like all of my kids) has always been homeschooled. My second son is a freshman, and I’m glad I still get to homeschool him. Homeschooling high school is great! Bible: Philippians in 28 Weeks from Homeschool Adventure Co.
1:30-4:30 Mom’s computer work time (blogging, product creation). Older kids continue school-work until finished. Looking for Music Appreciation Curriculum? 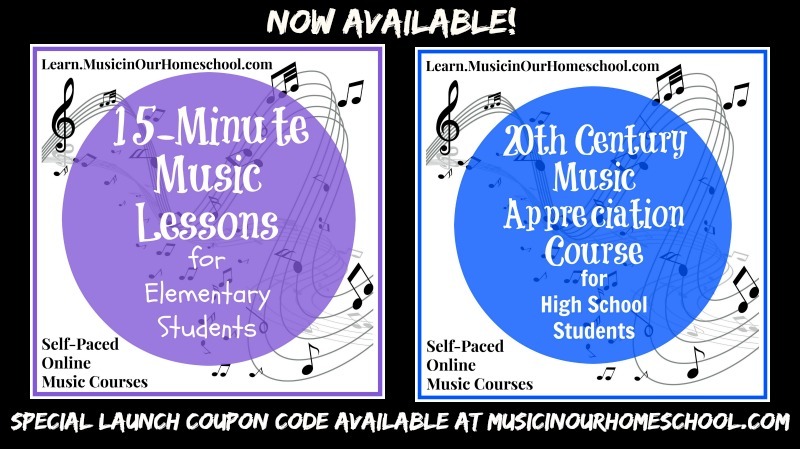 Take a look at 15-Minute Music Lessons for Elementary Students and 20th Century Music Appreciation for High School. The Deluxe Adventure Pack with 10 Unit Studies from Adventure Homeschool. Combine Exciting Curriculum with Adventure Gear to Instill a Lifelong Love of Learning and a Passion for Discovery! The Adventure Pack – Hands on Learning Kit comes with binoculars, magnifying glass, fossil kit, shell kit, owl pellet king & much more. It includes 10 complete weekly Unit Studies for the family. “I Believe in Homeschooling” tote from Apologia. Apologia Elementary Science sets (Zoology, Astronomy, Botany, Human Anatomy, Chemistry/Physics). 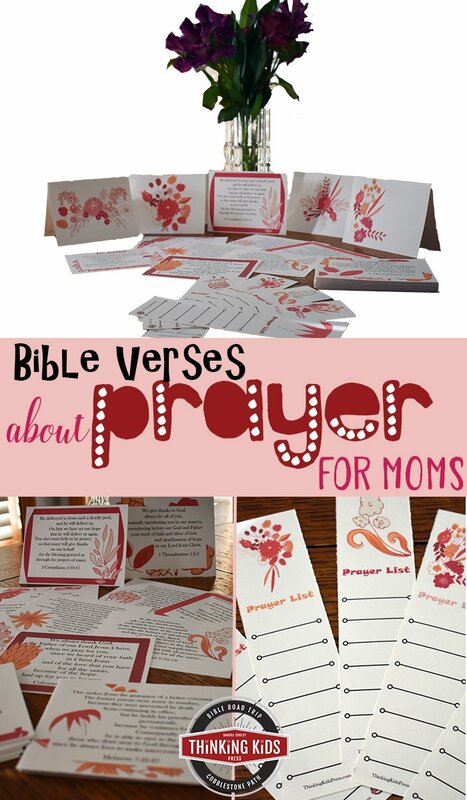 Sets include textbook, notebooking journals, and audio MP3. Science is not my strong suit, but I enjoy learning all topics with my kids! I bet you’ll like these Adventure Homeschool unit studies! Favorite Science topic to teach … ELECTRICITY!!! I love science! Its so hands on and fun, I can’t wait to dive in with my littles! My first year homeschooling this year so I’m super excited!!! I like to teach earth science . It’s been a while for me–need to teach it again. We are learning about astronomy now and it is definitely my favorite so far. Try to go to the planetarium if you can! Astronomy is amazing..and that is what we are starting this year. I always love studying astronomy with my kids! Anything dealing with Earth Science is my favorite science topic to teach. We Just LOVE anything Science ! !This giveaway is AMAZING! !What a Blessing to a deserving home school family!And you are truly an AMAZING woman for home schooling 8 children I just gotta say WOW!May you ALWAYS be Blessed and can you come teach me how to do this crazy thing called home schooling I only have 3 and you make it look so AWESOME!Lol Really though May you & yours be Blessed! I’m glad you didn’t say I made it look easy, because it’s not! It is awesome, though! My favorite science topic is Biology!!! I love the zoology part of biology! 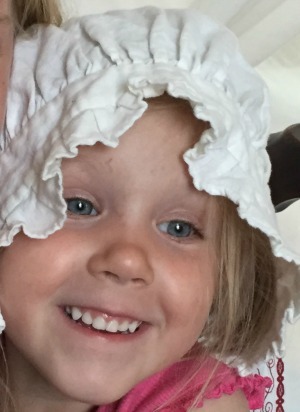 My daughter loves learning about ALL things science. She says to me that one day she will build me a new leg (I lost it in an accident) that I can afford and don’t have to pay for. How beautiful! I pray she is able to do that. I like to teach botany. I enjoy teaching anatomy, earth science, and astronomy! I run a science lab during VBS so my favorite thing to teach is hands-on experiments that illustrate the day’s scripture or theme. Thanks! I love anything related to science! I love to teach about the human body. It’s amazing to see how our bodies are so integrated and created so intricate. Of course by an amazing Creator. That is what makes it even more interesting to study. What do your little guys do all afternoon while you are blogging? They are so good at playing! They ride bikes, roller blade, play in the yard (swingset), play board games, dolls/Legos/pretend, listen to audio books, and have a 30-minute turn on the computer or iPad. Do you have any kind of a schedule for them that rotates activities or are they just on their own to choose? I’m just afraid of neglecting my little one in the busyness of school demands for the big guys! ? You are just organized with everything else, I was curious to see if you had some kind of structure for the little guys’ learning. I understand your concerns, Jessica. When my oldest boys were babies, I read the book “For the Children’s Sake” by Susan Schaefer MacCauley. It taught me how to provide the tools and opportunities, but to allow lots of time for free play. That was when I talked my husband into getting a fence for our yard. I have seen the benefits of free play in their growth in creativity and imagination.